I struggle with window treatments. I don’t really like blinds, but they let in so much more light (and air!) than sheers. My mom was big on sheers. If I have one style of sheer in one window on the front of the house, do I need to have the same look in all the windows? So many first world questions. In the meantime, I’m going room by room deciding what looks good. In our bedroom, I wanted to use long, navy cotton curtains. They were pretty, but very simple, so I needed a sheer with a bold pattern. I found just the thing, but really didn’t want to waste the money (or the drill holes…because you know it takes me at least three for every hole I actually use) on more rods. 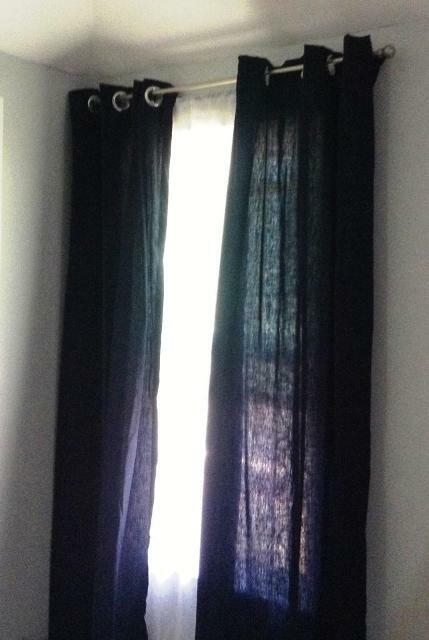 Enter this Pinterest hack showing how to use a bungee cord as a curtain rod. Ding! Ding! Ding! We have a winner. 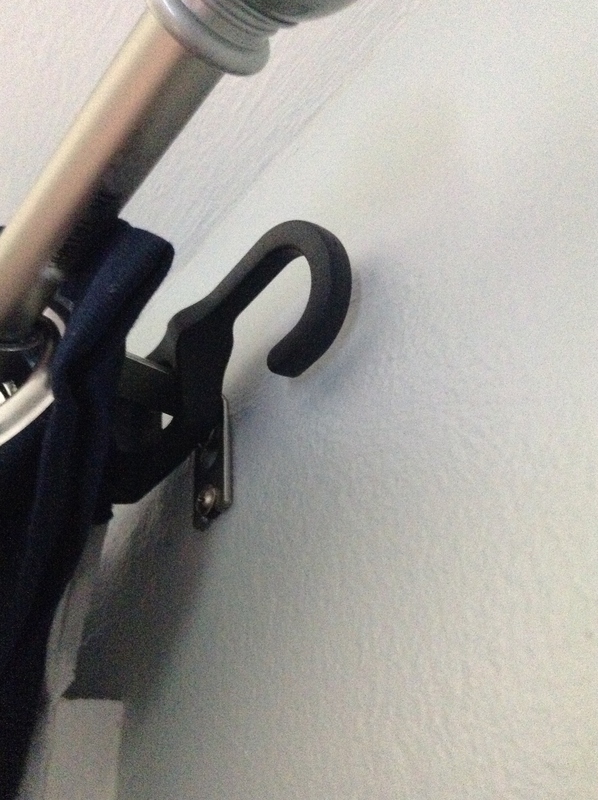 To use this hack: hang your regular curtain rod as instructed. String sheer(s) on the bungee cord and hook each end of the cord to the part of curtain rod that sticks out of the wall. Hang the curtains on the regular rod. Fluff and admire! As long as they are securely screwed into the wall, the pressure of the bungee cord should not effect the stability of the curtain rod. I used 36″ bungee cords on 48″ windows. They were just a bit too slack, so I hooked in on the handle vs. the regular hook, but with the extra curtain on the side, you’d never notice. I just used one sheer (because I’m cheap and my lamb, are curtains expensive!) If you had two, you might be able to see some of the cord, but fortunately, I was able to find cords in coordinating colors to the room. Let me know if you try this hack and how it works. Ah, Rube Goldberg…you’ve got nothing on me!